Home » Japan » How Tall Is Tall? The Tokyo Skytree is a freetsanding tower that is as different from the Window Tower of Uzes as you can possibly imagine. At 634m it is the world’s tallest tower and the second highest freestanding structure. My one thought, gazing at the soaring latticework of steel tubing looming in front of me is…..how much higher can man aspire to reach? Is modern engineering at all subject to any limitations in building structures that seemingly penetrate the sky? None it appears, from the frequency with which height records are toppled! From the Great Pyramid at Giza to the unbelievable 829m high Burj Khalifa in Dubai. And those waiting in the sidelines to top that one, and soon!! My research reveals the main limitations are wind speed, elevators, and most of all the ‘moolah’! The former is apparently tackled with counterweights and split elevators. Find the big bucks, and it is conceivable that man just might be able to reach out and touch the sky….literally! Maximum Height: 2,080 feet / 634 meters – The figures 6 (mu), 3 (sa), 4 (shi) stand for “Musashi”, an old name of the region where the Tokyo Skytree stands. A triangular-shaped lobby was chosen because it has three sides — the smallest number possible for a self-supporting structure. They also symbolize the confluence of the Sumida River, the Ara River, and the bustle of human traffic. Amazing building …. and brilliant shots of it – look at Dubai and what they are building there – seems to be no limits for architecture today. In Dubai they have that building that every floor rotate differently. The highest I been staying is on 37th floor, Marriot Hotel in Boston. High enough for me .. not very good with heights, but love the views heights gives. wow; that middle image all but gave me vertigo!!! Beautiful! I don’t like going up in tall buildings as the elevators shake and freak me out! And some have glass bottoms!! We didn’t go up this one, was probably too expensive. We did go up another tall building for the ubiquitous night views. Thanks Nicole. I must admit I love to see these crazy tall towers and buildings but what is the point apart from the – probably masculine – desire to thrust higher? I always worry about the construction workers. Where will it end? Most probably masculine Gilly 😀 I can’t figure out where the money comes from with world economies tottering! Why did you say ‘the moolah’ as one of the limitations, Madhu? I am intrigued. I travel to Bali quite often and I was once told that the Balinese priests, for religious reasons, do not allow the buildings to be taller than coconut trees. That is why the buildings in Bali are no more than 35 metres tall. And now some people think that these priests are against economic development and modernity. Do you think the same case applies to the moolahs ? No no Subhan! ‘Moolah’ is slang for money 😀 No religious reference at all. Apologies if it caused confusion. I am all for the Bali rule. Anything in life should be done in moderation. That is my fervent belief. Subhan was probably thinking of the Mullahs – islamic clergy – am I right? What an amazing building, and you photographed it so well, Madhu. it makes my feet tingle just contemplating being that high up. Reach for the sky. Don’t the cowboys say that? I think so very nice, good job congratulation !!! i was thinking just the same way as gilly, what is the point? but thanks for the beautiful photos and all the facts, i did not know about this building at all madhu! imagine if the money was spent on developing power and technology that does not heat the earth …. 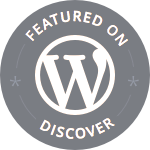 Thanks for the lovely posts on Japan – very interesting and informative. It’s an impressive and beautiful building! 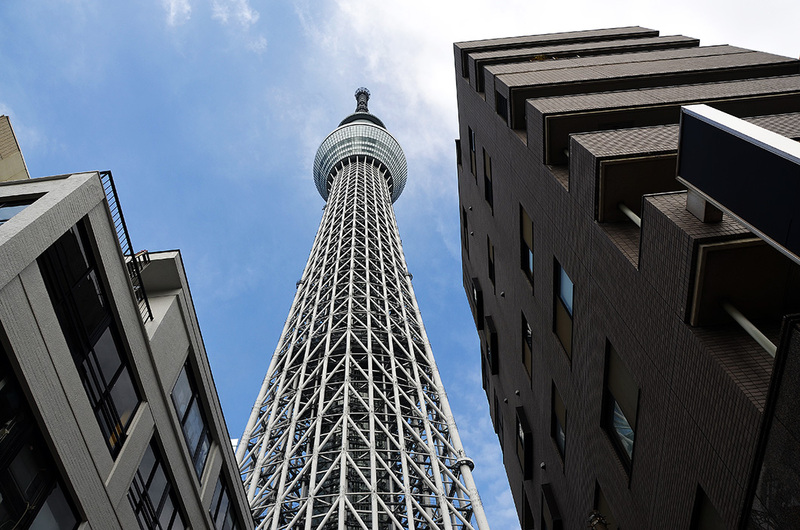 I have mixed feelings about the Tokyo Skytree – no doubt it’s a great feat of engineering, however I question the need for its construction and whether or not the moolah could have been spent on something more beneficial to the community at large. As an icon I think the Tokyo Tower already does a great job; I do enjoy the alternating coats of red and white paint and its graceful curves. I wonder where the upper limit of towers is? They keep making them higher and higher, but that can’t go on forever. I do love seeing huge towers though. Now that is big and it’s cool, but talk about a lot of money. I have to wonder about the competitive nature of man and ask why. Have a wonderful weekend Madhu! It’s amazing what mankind keeps striving to build and achieve. Touching the sky… that would have to be a building infinitesimally tall! Great photos and information, Madhu! What you think of the Tokyo Skytree is pretty much similar with what I think in terms of imagining how much taller can human build structures. A few months ago I found a video on YouTube which explained about the world’s tallest structures and how within a few years’ time more buildings will break the psychological limit of 1 km of height. Some of them are in the Middle East. But honestly I would feel very nervous taking the elevator to such height! That is a beast of a tower! The tallest building near me in Birmingham, the BT Tower, is about 150 metres and seems pretty big to me. The Skytree in your excellent photos is over four times that height. Makes me feel dizzy thinking about it! good, that he was not built like the one in Pisa, Italy! That’s a lot of zeroes on the cost! Yikes! Wow, not only the great height, but for the design as well. Great post, Madhu. Really interesting shots, Madhu. Does the skytree have a purpose, other than being the tallest? Wonderful post, Madhu! Beautifully composed.